The location of the park and the proposed expansion. The existing Grand Avenue Park is a one-hectare parcel of green space on the east side of Grand Avenue and north of the Metrolinx Lakeshore Rail corridor. 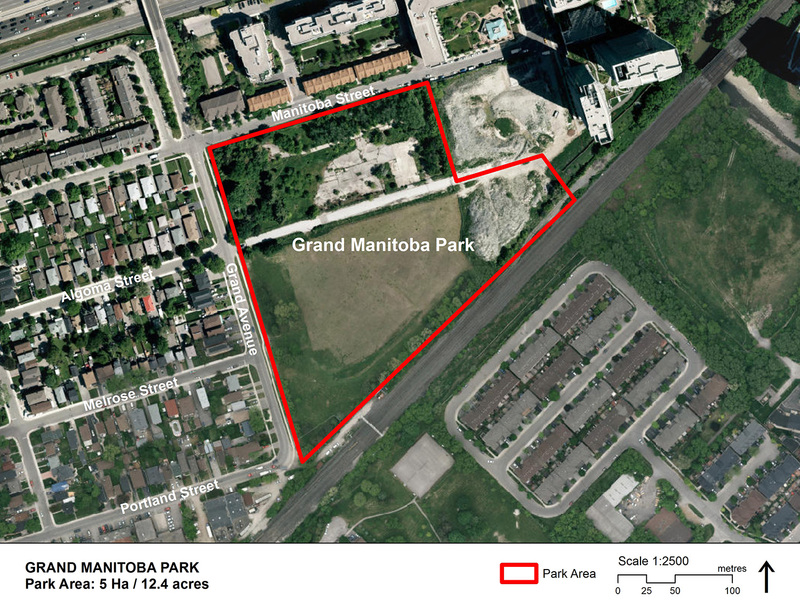 The City acquired additional land next to Grand Avenue Park to create a new, approximately five-hectare (12 acres), park. 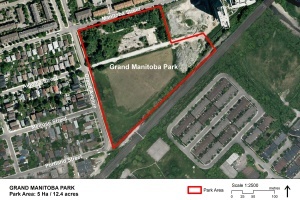 The working title for the design of the new park is Grand Manitoba Park. Phase 1 construction is anticipated to start early 2019 with completion early 2020.